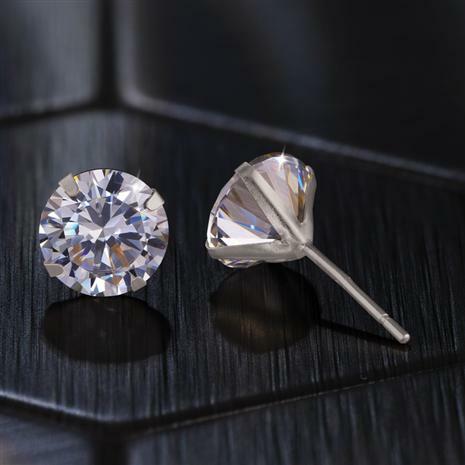 An attractive alternative to traditional stud earrings, martini settings lend all of their glory to the featured stone within. The minimalist design consists of a 4 prong, funnel shaped setting, most of which remains hidden behind the stone while worn. With less metal on the top and sides, the sparkle is more visible. We’ve poured 14K yellow gold martini settings to the brim with two total carats of our DiamondAura®. Leveraging the powers of science, we’ve created a true rock star that’s not only on par with mined diamonds but has more fire and no inclusions. The only thing missing are a few zeros.